Note that, essentially, Rk =Sk /nk. If the data given are reliability data, then Sk is assumed to be the observed reliability given and nk is considered 1. In ReliaSoft's RGA software, this model is available for the Success/Failure (Sequential, Sequential with Mode, Grouped per Configuration) data type and the Reliability data type. Eqns. 4 and 5 can both now simultaneously be solved for R and α. It should be noted that there is no closed form solution for either of the parameters, thus they must be estimated numerically. 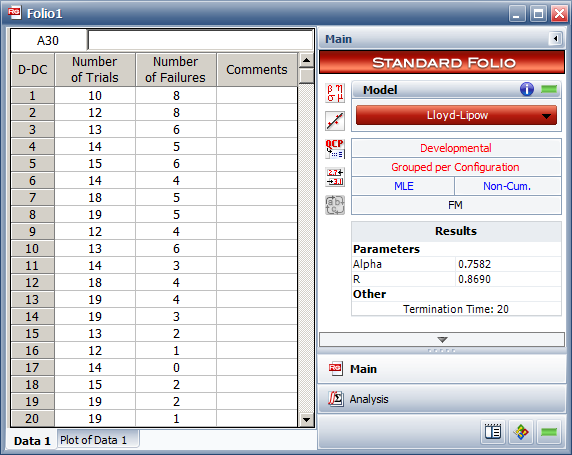 The following table presents results of a 20-stage reliability development test program for a high volume rotary/vortex downhole gas separator designed to maximize production from wells with significant gas content. Improvements were implemented between these developmental testing stages. The table lists 20 groups that were tested sequentially and indicates the number that were tested in each group and the number of failures obtained from each group. The previous figure also shows the MLE estimates of Lloyd-Lipow R and α parameters, which are found to be 0.8690 and 0.7582 respectively. 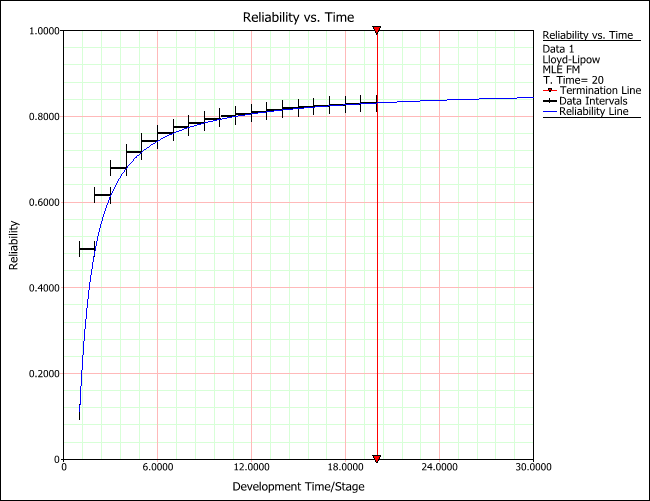 The reliability growth throughout the 20 developmental stages is shown next. 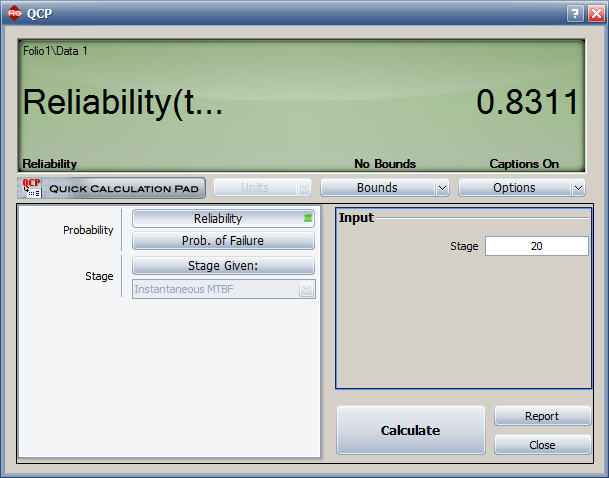 The estimated reliability, based on the calculated parameters, at the end of the 20th stage is 83.11%. The next figure shows how this value can be obtained in RGA.